Klarity AccuCushions® are advanced indexing tools that provide secure, customized head and neck support for patients. These cushions are made from low-density thermoplastic-based materials that become soft and pliable when heated in an oven or water bath. 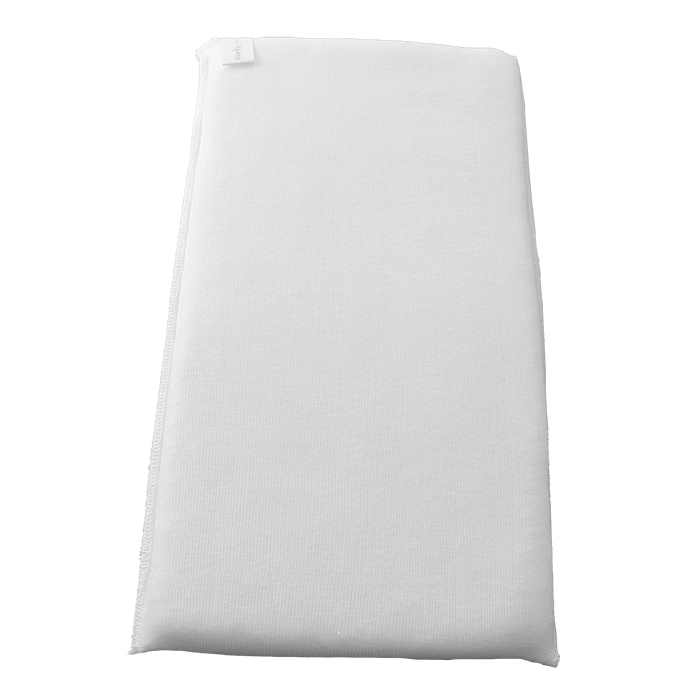 After heating, AccuCushions® offer warm and comforting support that has a calming effect on most patients. Once cool, AccuCushions® become firm and rigid, ensuring excellent reproducibility and precise placement for highly accurate treatment. AccuCushions® can be used with Silverman headrests, and they also fit under a thermoplastic mask to create 360-degree custom support and immobilization. New AccuCushions® with Neck Insert can be used without a Silverman headrest, enabling optimal cervical spine support and immobilization. The inner cushion contains a proprietary mix of high-quality, lightweight polystyrene surrounded by a thin layer of thermoplastic. The soft and stretchable outer covering is made of simple nylon fabric. All AccuCushions® are 100% nontoxic, with minimal shrinkage and no odor. AccuCushions® are one-per-patient, but they can be reheated and reformed if needed. Klarity’s U-Cushion™ features a curved top that allows the cushion to be patient with minimal adjustment. This eliminates the need to tuck away corners and enables the mask frame to come down evenly and securely. The U-Cushion™ indexes to both the crown of the head and the Silverman headrest, reducing pitch and providing even greater precision. The R550-U2 AccuCushion® has the same rounded top U-Cushion™ shape for easy moldability, but with extra fill in the neck. This allows the cushion to be indexed without a silverman. It can also be used to provide custom pitch, and works well with deeper head cups that require thicker cushioning under the neck. The R550-U3 AccuCushion™ has the same rounded shape and easy moldability of our standard U-Cushion™, but in a slightly larger size. The additional length of this AccuCushion is excellent deeper headrests or for customized positioning. The R550-M1 has a slightly wider base of support for greater support under the head and neck as well as improved indexing. The M1 works well on the Q1 headrest or a standard Silverman headrest. The R550-M2 is the same shape and size as the R550-M Standard AccuCushion®, but with double the amount of filling for a more substantial cushion. The R550-M3 is slightly wider and longer than other standard AccuCushions®, making it ideal for use with deeper headrests. The M3 works well in situations requiring customized tilt and pitch of the head and neck. The R550-L is a long, versatile AccuCushion® that offers multiple types of custom support. It can be used to mold around the arm and wrist as well as other extremities that require customized positioning. This cushion can also be used under the head and neck with a standard Silverman headrest, providing a long line of support that extends from the C-spine to the crown of the head. Our largest AccuCushion® adapts well in situations requiring a large support base. The cushion can be molded around the extremities, or it can be used for full-torso support or extra pelvic cushioning. The Head & Shoulder AccuCushion® provides the same head and neck support as the standard AccuCushion®, but it also extends down to sit underneath the scapula and wraps up over the shoulders for custom shoulder suppression. The R550-T fits over a Silverman headrest, and for optimal reproducibility, it should be used with a Head & Shoulder Mask. The R550-TL provides the same head and neck support as the R550-T, but extends further under the patient’s back. This cushion sits underneath the scapula and wraps over the top of the shoulders. For optimal reproducibility, it should be used with a Head & Shoulder Mask. With extra fill in the neck area, the R550-T2 is ideal for situations requiring customized tilt and pitch of the head and neck, or when a large amount of build-up is needed under the C-spine. The T2 is designed for use without a Silverman headrest and indexes directly to the overlay or baseplate. The R550-T2L offers even more customized support. The cushion sits under the scapula and wraps up over the shoulders to create more fully encompassing support around the neck and shoulders. The HS2L is our most comprehensive AccuCushion®. Designed for use without a Silverman headrest, this cushion indexes directly to the baseplate or overlay. The extra fill in the neck allows for custom positioning for precise tilt and pitch. The sides of the HS2L wrap up and around the sides and crown of the head, creating a 360-degree shell around the patient. For optimal reproducibility, it can be used with a Head & Shoulder Mask. The R550-H1 is a fully encompassing head-only cushion that creates a shell around the head. This cushion is designed for use with a Silverman headrest, and functions best when molded with the Klarity Shell Mold. The H1 is ideal for situations that require full, 360-degree circumferential immobilization, where support is needed up to the crown of the head. The R550-P is a smaller-sized Head & Shoulder AccuCushion® that offers customized support and immobilization for pediatric patients. For optimal reproducibility, it can be used with a Head & Shoulder Mask. A smaller version of the R550-M, the small cushion is appropriate for patients with smaller head sizes, including pediatric and adolescent patients. Designed for Elekta’s Gamma Knife® Icon™ system, the R550-CEL Icon AccuCushion® should be used with an Icon mask to provide precise fixation and comfortable support. The R550-BOS features an extended head portion to fit into the head cup, and the extra fill in the neck area allows for customized support around the C-spine. 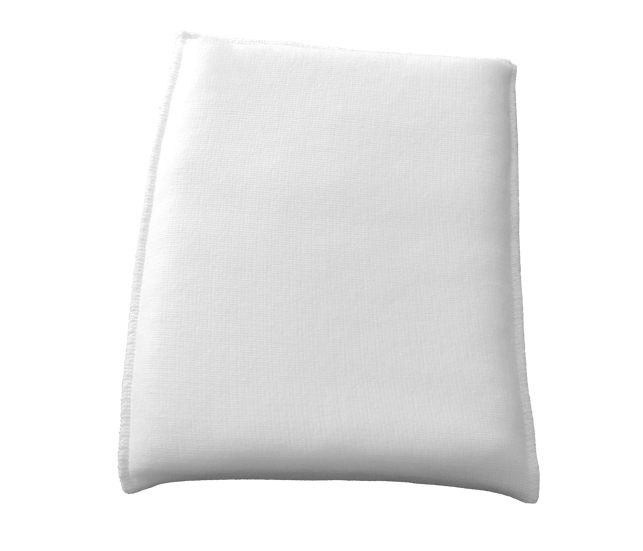 The cushion wraps up over the shoulders to provide comfortable but firm shoulder suppression. 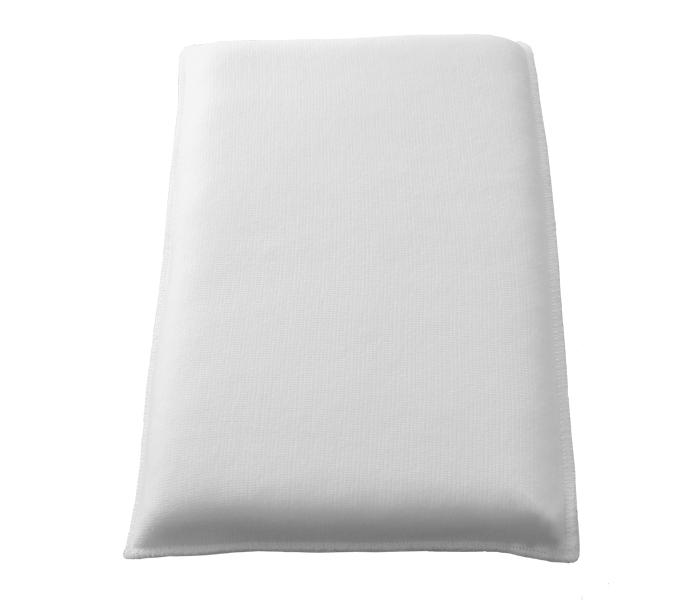 When used with a Head & Shoulder Mask, this cushion enables indexing for the whole chest and shoulder girdle. The R550-BOS3 is a precise silhouette to provide comfortable, customized support for the head, neck, and C-spine. The BOS3 can be used with both Head-Only Masks and Head & Shoulder Masks. The smallest of our AccuCushions®, the R550-S1 provides head-cup cushioning. It can also be used in unique situations that require custom indexing. The Klarity Shell Mold is a reusable frame for molding the R550-HS2L Head & Shoulder AccuCushion®. Once the AccuCushion® cools within the frame, the Shell Mold is removed before a mask is used. Includes three sizes. ** Display of non-Klarity business or product names on this page is only for purposes of identifying product compatibilities. Klarity is not affiliated with or endorsed by other companies referenced on this page.